Read part one of this article to learn about how music publishing turns your songs into money, and the first two crucial steps that will get you into the business. When I said in my first post that music publishing is the invisible man of the music industry, I meant it as a positive statement—the business of music publishing is out there earning money for artists, songwriters and producers while they’re hardly aware of it. Somewhere a song is playing on the radio, or showing up in the background of a video game, or playing in the background at a shopping mall while the songwriter is a thousand miles away. That’s the good news. You may write your songs in glorious isolation, huddled in your bedroom studio where you play all the instruments, engineer the recording and mix it just the way you alone like it. But that’s not how you publish. Music publishing is a business, which means it thrives on interaction. You’re going to need a network, and that starts with the people you know. Club owners, booking agents, local radio people, local advertising agencies, television or film producers, local theater groups – whomever it is that you know, they will be your starting point. Then you’ll find out who they know, and you’ll see what opportunities that new group of people might have for your music. If you don’t have that first group of friends to get you started, then you probably need to make some. 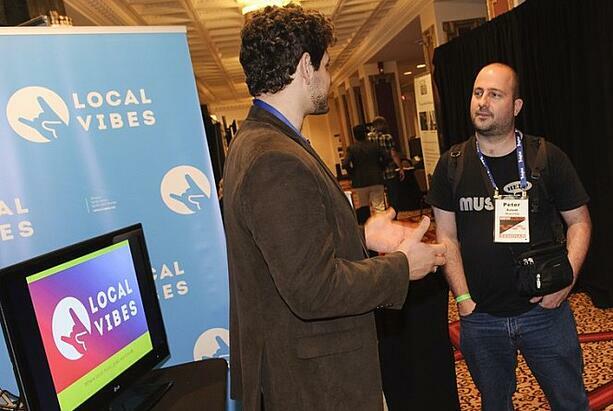 Check out industry conventions and events like ASCAP’s “I Create Music” EXPO, or the New Music Seminar, or SXSW. Or do your research. Figure out precisely who would have an interest or use for your music and go directly to them. The one thing that will almost assuredly not work is trying to make something happen on your own. Get out of the studio for a few minutes and take a look around. Music publishing is a business, which means it thrives on interaction. Part of your job as a music publisher is to know where to find opportunities for the music you represent. The other part is to know where to look for the money that may come in, should those opportunities pay off. Finding either of those things is often akin to searching for the Holy Grail. When it comes to opportunities, there are of course the usual suspects: a physical release on a record label; a placement in a movie, television show or advertisement; or a nice comfortable spot in heavy rotation on Z100. But there are plenty more, depending on the style and quality of your music. Look for spots in video games and theatrical productions, or upload your music to streaming services like Spotify and Pandora. Put a video on YouTube, and put a lyric video up too while you’re at it. Ask yourself: Could this song work in a different territory, in a different genre, or in a different language? The wide view is the best one when it comes to scouting out opportunities for your music. On the other hand, when it comes time to find the money you’ve earned, laser vision might be more appropriate. It’s never easy getting paid, but it helps if you know where to search. You might even find that you already have some money waiting for you from exposure your music has had over the years. Assuming you’re based in the US, start building your team by joining ASCAP, BMI or SESAC. If you’re the kind of writer that has many other people recording your songs, then the Harry Fox Agency might be appropriate as well. Internationally, you might want to check a few of your titles at PRS in the UK. Then think about things like: Are you monetizing your YouTube views? Are you collecting your streaming income? If your songs are all over television, are the cue sheets filed correctly with ASCAP or BMI? You probably won’t spend too much time trying to think about where to look for your money before you arrive at this moment: picking up the lifeline and calling someone for help. Collecting your income and administering your copyrights can be an overwhelming job, particularly if you’re starting to have some success. And assuming you’re a good enough songwriter to do that, figuring out how to collect the money you earned in Belgium probably isn’t the best use of your time. So who ya gonna call? You could try a conventional publisher (who will probably want to co-publish with you), an administrator (who will charge a fee on everything they collect but not take any ownership of the copyright), a sub-publisher or set of sub-publishers (they’ll collect for you outside of the US), or even a new company like SongTrust, which will charge you a fee to provide publishing services. You can call INDMusic to help with your YouTube strategy, or a sync pitching agency to help place songs in film, television and advertisements (they’ll usually take a portion of the synchronization fee and some ongoing share in future income). It may sound a bit overwhelming, and as any active music publisher will tell you, it sometimes is. At the same time, it’s a business you already own that requires a minimal financial investment beyond the one you’ve already made. More importantly, it will only support and further whatever it is that you’re doing as a performer or musician.